Business Source Magnetic Grip Clips Pack - Magnetic Grip Clips stick instantly to any steel surface with built-in magnets. They make it easy to post reminders or to keep your paper securely together. When you need to hang documents as a strong reminder or other purpose, simply press the clip's lever and slip them between the strong, flat teeth of the clip. Size 1 offers a 3/8"" capacity to hold a sizable stack of papers. 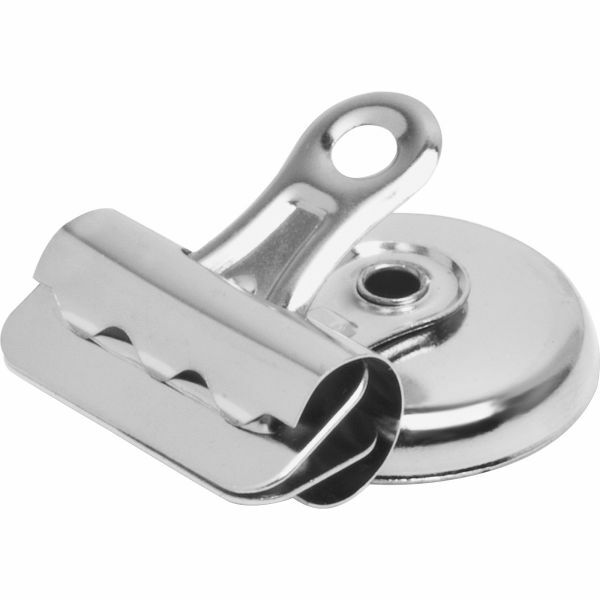 Clips are made of heavy-duty, nickel-plated steel to hold their shape with frequent use.